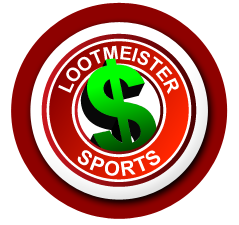 Welcome to the Lootmeister sports betting odds page! Here you'll find the current live odds for all major sporting events, which also includes futures odds for each respective sport's championship or title game. How to Navigate This Section: Daily (MLB, NBA, CBB, NHL, etc) and weekly (NFL, CFB, NASCAR, PGA) game point spreads and wagering odds can be found in the upper left menu. Futures odds can be found in the lower right menu. In the center of this page, you'll find articles offering odds on current events not covered in the left menu as well as articles relative to odds and that will help you beat the bookies! Enjoy! Betting Tip: Most sports gamblers lay -110 odds on sides (point spreads) and totals (over/under bets). Did you know that there is a sportsbook out there that only requires you to lay -105 odds? That online bookie is 5Dimes. Making the switch to reduced juice sports wagering will save you a TON of cash and trumps any signup bonus that you can get! Bettor "A" bets every weekend of the college and NFL football season. Every Saturday, he plays 5 college games and every Sunday he plays 5 NFL games. He risks $110 to win $100 on each game. This gives him a total lay of $110 x 10 - $1100 to win $1000. He does this for 14 weeks of the college football season, 4 weeks of bowl season, 17 weeks of the NFL regular season and a bunch of playoff games. This results 18 weeks of college foots x 5 games a week = 90 games in total + 17 weeks of regular season NFL + approximately 13 playoff games for a total of 98 NFL games. Bettor "B" was lucky enough to learn about, dump his bookie and make the switch to -105 reduced odds betting. He too plays 188 games per season, but he only lays -105 odds which looks like this: 188 x $105 = $19,740. He bet the same exact amount of games, but paid $940 less than Bettor "A". We ask guys all the time why they're still laying -110 odds. We get answers ranging from "I prefer a local bookie" to "I don't trust online sportsbooks". Our answer? You laying -110 odds is why your bookie drives a real nice Cadillac and 5Dimes has been in business since 1998. We too have been in business since 1998 and we've never heard any complaints about them. Not to mention, you have access to placing a wager 24/7, they pay faster than your book and you don't ever have to worry about getting cut out as they're a massive operation. QUIT WASTING MONEY! Make the switch to 5Dimes Sportsbook TODAY! You will be so glad you did! Sports betting takes on many forms. What applies to one sport may not apply to another sport. There is certainly some common ground within the different sports, but with different twists, nuances, and expressions, each sport has its own unique form. Point Spreads: A way to even out a game to give equal appeal to both sides of a bet. A point-spread is a number applied to each team, with one team favored by that many points and the opponent an underdog by that same number of points. The favored team can’t just win, but must do so by a number exceeding the point-spread. The underdog, meanwhile, can win the game outright or lose, but just not by a number that surpasses the point-spread. Money Lines: A way to express odds precisely. We all grew up familiar with fractional odds, like if a boxer is a 20/1 favorite, for example. Money lines allow for more nuance and precision. Just remember this: minus means favorite and plus means underdog. With favorites, the number next to the minus sign is what you need to bet in order to win $100. The number you see next to the plus-sign is how much you win if you bet $100. Therefore, if a favorite is -300, you need to bet $300 to win $100. If an underdog is +300, you win $300 for every $100 you bet. And the $100 watermark is just to make it easier to understand. You could bet any amount and the odds would just break down proportionately. Note: Listed below are descriptions for the standard form of betting in each sport. As you can well imagine, all sports offer a virtual smorgasbord of different betting options beyond the standardized types of wagers described here. In the above example, the point-spread is 3.5. Green Bay is +3.5, meaning they are 3.5-point underdogs. Detroit at -3.5 is a 3.5-point favorite. In all areas of sports wagering, a plus-sign always indicates an underdog, with a minus sign indicating the favorite. If you bet on Green Bay at +3.5, a bet on them will win if they either win the game outright or if they lose by a number not exceeding 3.5. In other words, they can lose by up to 3 points. For a bet to win on Detroit, they would need to win the game by 4 points. With straight bets, we have to bet a little more than we stand to win. The industry-standard is -110, meaning you bet $110 for every $100 you hope to win. But with a little work, you can find a -105 line where you only bet $105 for every $100 you want to win. In the above example, the point-spread is 8.5, with San Antonio being the favorite at -8.5 and Utah an 8.5-point underdog. A bet on San Antonio at -8.5 will win only if the Spurs win by 9 or more points. A winning bet on Utah will happen if the Jazz either win the game outright or if they lose by 8 or fewer points. Again, with all kinds of betting, the minus-sign means a favorite, with the plus-sign designating an underdog. The Twins are +165. That means you win $165 for every $100 you bet. When you see a plus-sign with any number, that number is what you win for every $100 you bet. You don’t have to bet $100. Boston is the favorite at -175, meaning you must bet $175 for every $100 you hope to win. Whenever you see a minus-sign, that’s how much you have to bet to win $100. In summary, minus + a number means you BET that amount for every $100 you want to win. Plus + a number means you WIN that amount for every $100 you bet. In the above example, Pittsburgh is a small favorite at -135. What that means is that for every $100 you want to win on the Penguins, you must bet $135. They are the favorite and you can tell because you stand to win less than what you bet. Columbus, meanwhile is at +115. They are a small underdog. +115 means you win $115 for every $100 you bet. Above you see the odds for a soccer game. Chelsea is slightly favored at +155. A $100 bet on them would win $155. Arsenal is +165 and if you bet $100 on them, you would win $165. For either team to win, they must be ahead at the end of regulation--two 45-minute periods plus injury time. If the whistle sounds after two halves of play and neither team is ahead, the draw (+270) wins. A $100 bet on that would yield $270 in winnings. Above, you see Mayweather is -1100, while Maidana is +700. Minus means favorite and plus means underdog, so Mayweather is favored at -1100. With a minus-sign, that’s the number we need to bet to win $100. With a plus-sign, that’s how much we win if we bet $100. Therefore, an $1100 bet on Mayweather would yield $100 in winnings. A $100 winning bet on Maidana would pay off $700. If the fight is a draw, you get your money back, unless betting on the draw was an option, which it is usually is in bigger fights like this. Jones is - 600 and Teixeira is +400. Minus means favorite and the number following the minus-sign is what you need to bet in order to win $100. Therefore, Jones is a -600 favorite and to win $100 on him, you must bet $600. Teixeira is +400. He is the underdog, meaning you stand to win more than you bet. A $100 bet on him would pay off $400 in winnings. Like in boxing, a draw leads to all bettors receiving their bet amount back, unless a draw is an option you can bet, in which case all bets on the fighters lose.